The FLEXIM FLUXUS® F/G721 offers non-intrusive flow measurement of virtually any kind of liquid or gas, from the smallest tubing to the largest penstock, independent of the pressure inside the pipe and over a very large temperature range. Due to its advanced technology, the measurement is unaffected by solid or gaseous entrainments or gas wetness and distinguishes itself by its unrivaled turndown ratio: Even low flows down to only a few liters per hour can be recorded accurately. As the flowmeter of choice for a very wide range of applications in virtually any industrial sector, the FLUXUS® F/G721 is available with two different enclosure types: aluminum housing for standard applications and stainless steel housing for operation in highly corrosive environments. 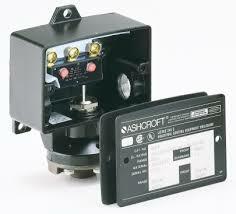 Both can be used in explosion hazard areas (ATEX, IECEX Zone 2). Magnetically coupled liquid level indicators, or MLIs, are in widespread use throughout process industries. Originally designed as an alternative to sight and gauge glass devices, the MLI is now commonly used in both new construction and plant expansion. They are engineered and manufactured to indicate liquid level accurately, reliably, and continuously. These units are completely sealed and require no periodic maintenance. MLIs also eliminate vapor or liquid emission problems common with sight and gauge glasses. Download a full Orion Instrument capabilities brochure here. 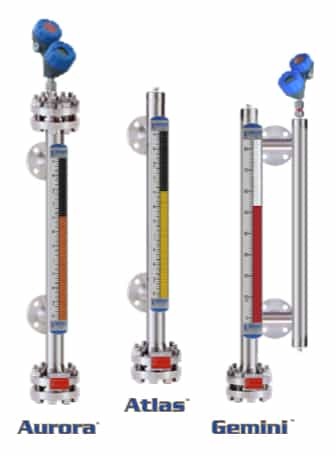 For more information on Magnetic Level Indicators, contact M.S. Jacobs & Associates by calling 800-348-0089 or visit their web site at https://msjacobs.com. 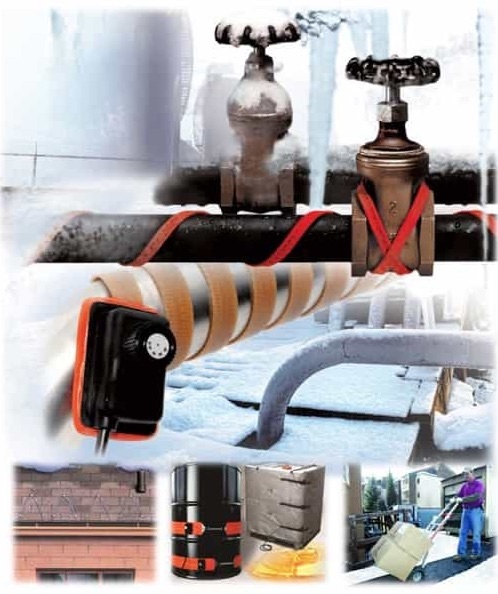 Anticipating freezing conditions and protecting buildings, equipment, and grounds against freeze damage is a vital part of a Facility Maintenance Program. A good freeze protection plan includes steps for inspection, preventative maintenance, and corrective maintenance prior to the beginning of cold weather conditions. This guide, provided by electric heater manufacturer BriskHeat, is designed to make the planning process easier for you. Contact M.S. Jacobs & Associates for more information on BriskHeat products. Reach them at 800-348-0089 or visit https://msjacobs.com. M.S. Jacobs and Associates is a leading manufacturer's representative and distributor of industrial instrumentation and controls serving Western Pennsylvania, West Virginia, and New York State. Since 1945, the company's dedication to the industrial market has resulted in a broad offering of superior quality products for flow, level, pressure, and temperature measurement, as well as filtration products. M.S. 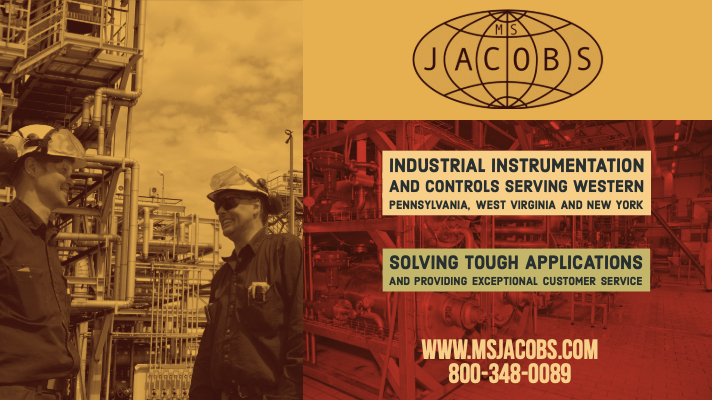 Jacobs is known for solving tough applications and providing exceptional customer service with a team of highly trained outside and inside personnel. MS Jacobs' products have contributed to the success of all major industrial markets, including power generation, chemical processing, pulp and paper, oil and gas production, water and wastewater treatment, and nuclear power generation. For over 70 years, M.S. Jacobs has continuously been there, providing support and service to their customers. Internal view of pressure switch. A pressure switch is a mechanical device that detects the presence of fluid (gas or liquid) pressure. 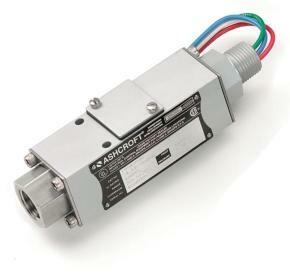 Pressure switches use a variety of sensing elements to convert pressure changes to linear movement. These sensors are known as diaphragms, bellows, bourdon tubes, and pistons. 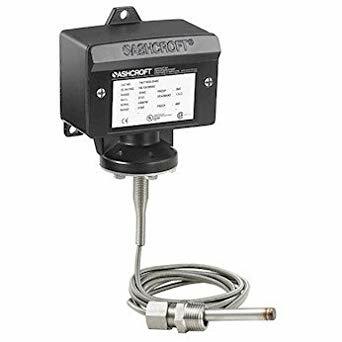 The movement of these sensors, caused by pressure fluctuation, is transferred linearly through a rod or piston to a set of electrical contacts to open or close a circuit. The opening and closing of the electrical circuit is done through electrical contacts. These electrical contacts are most often enclosed in their own housing in an assembly known as a microswitch. These contacts in the pressure switch are associated with the terms "normal", as in "normally open" or "normally closed". The normal status of a switch is the resting state with stimulation. A pressure switch will be in its normal status when it senses low or minimum pressure. For a pressure switch, normal status is any fluid pressure below the trip threshold of the switch. Some of the earliest and most common designs of pressure switch was combining the bourdon tube pressure sensor with mercury switch. A bourdon tube is basically a curved tube that flexes straight when pressure is applied. The bourdon tube's flex is amplified through gearing and made significant enough to tilt the glass bulb of the mercury switch so that the mercury flows over the electrical contacts, thus completing the circuit. Many of these pressure switches were sold on steam boilers. While they became a de facto standard, they were sensitive to vibration and breakage of the mercury bulb and resulting mercury contamination. Another common design feature pressure switches use is referred to as force-balanced pressure sensors. This design operates by countering the force provided by the pressure-sensing element with a mechanical spring. The system remains static until the pressure-vs-spring balance is overcome. Once the sensor pressure exceeds the spring tension, movement occurs and the electrical switch state is changed. In this design, the tension on the spring may be adjusted to set the tripping point, thus providing an adjustable setpoint. Deadband or (reset pressure differential) is one of the most important application considerations when applying a pressure switch. This setting determines the amount of pressure change required to reset the switch to its normal state after it has tripped. The differential pressure of a pressure switch should not to be confused with differential pressure switch, which actually measures the difference in pressure between two separate pressure ports. Temperature switches operate on exactly the same principle, but use the concept of thermal expansion, instead of direct pressure sensing, to create the the movement required to change the electrical contact status. In the enclosed thermal sensor (referred to as the bulb, or bulb and capillary), the liquid enclosed in the system expands and contracts in relation to temperature change. That expansion and contraction is then converted to linear movement, and then used to open and close an electrical circuit. There are many, very important details that need to be considered when selecting and applying pressure and temperature switches. You must consider the electrical requirements (volts, amps, AC or DC), the area classification (hazardous, non-hazardous, general purpose, water-tight), pressure sensing range, temperature range, and material compatibility. It's highly recommended you consult with a process instrumentation expert for assistance. Cashco, headquartered in Ellsworth, Kansas, manufactures a proprietary line of throttling rotary and linear process control valves and sanitary control valves. Models 988 and 989 - Globe-style control valves with pneumatic spring-return actuator. Model 988-MB - a modified version of our Model 988 designed to handle hazardous fluids. Ranger QCT - universal control valve that offers 10 different trim combinations which can easily be changed without disturbing the packing, actuator, or positioner calibration. Model 521 - Globe-style control valve with sliding stem, bellows sealed, pneumatically actuated valves designed to achieve the ultimate in long-term corrosive chemical service. Premier EZO (short for easy opening) - Superb throttling characteristics and is designed to eliminate “popoff” flow surges. Model 987 - Precision globe-style “chemical valve” is the valve to handle hostile fluids and environments – as well as steam and water. Model 2296/2296HF - A stainless steel or bronze glove-style control valve available with pneumatic or electric actuators. 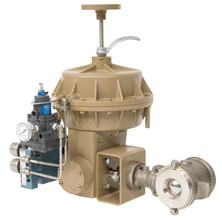 Model 964 - A globe-style pneumatic control valve for general plant utility services. Download a PDF version of the Control Valve Product Summary here or view the embedded document below. Vessels: Most process or storage vessels up to rated temperature and pressure. Pits and sumps as well as glass-lined tanks. Conditions: Virtually all level measurement and control applications including process conditions exhibiting varying specific gravity and dielectric, visible vapors, high fill/empty rates, turbulence, low to moderate foam and buildup.